Your doctor is going to be very careful when diagnosing depression or any other mental disorder. There are certain steps to follow and he may not be entirely certain about the initial diagnosis. In some cases, you may have either a "provincial" or "differential" diagnosis until more information can be gathered. What does that mean and what's the standard procedure for a diagnosis? These are the questions we'll answer so you can fully understand the process. The key is to be patient and honest because this will help her create the proper treatment plan for you. What Is a Provisional Diagnosis? A provisional diagnosis means that your doctor is not 100 percent sure of a diagnosis because he needs more information. Essentially, based on the information he has, he is making an educated guess about the most likely diagnosis. Under the newest edition of the Diagnostic and Statistical Manual of Mental Disorders (DSM-5), a provisional diagnosis is indicated by placing the specifier "provisional" in parentheses next to the name of the diagnosis. For example, it might say something like 309.81 Posttraumatic Stress Disorder (provisional). Once more information is gathered and a final diagnosis is made, this specifier is removed. A differential diagnosis means that there is more than one possibility for your diagnosis. Your doctor must differentiate between these to determine the actual diagnosis. Only after that is done can he choose the best method for treating you. Unfortunately, there are currently no lab tests to identify depression. Instead, the diagnosis is based on your medical history and your symptoms. It is also necessary to rule out other potential causes because there are several conditions which may appear to be depression on the surface. According to Dr. Michael B. First, Professor of Clinical Psychiatry at Columbia University and author of the DSM-5 Handbook of Differential Diagnosis, making a good differential diagnosis of depression involves six steps. According to First, a doctor's initial step should be an attempt to determine whether or not a patient is faking his symptoms. In general, there are two possible reasons for this: malingering and factitious disorder. Malingering is when someone feels he has something to gain from a particular diagnosis. For example, he may want to avoid certain responsibilities. A factitious disorder is used to when someone derives psychological benefit from taking the role of a sick person. Certain drugs—both legal and illegal—can cause the same symptoms as depression. While it is fairly easy to know if someone is taking prescriptions, it may be necessary for a doctor to do a little investigation when it comes to drugs of abuse. Clinicians can gain clues about illicit drug use, First says, by interviewing the patient. Sometimes, the family is interviewed as well. They can also look for signs of intoxication and perform blood or urine tests to screen for the presence of drugs. There are various conditions in which depression is a symptom. It is very important to rule these out because it may require treatment beyond psychotherapy or an antidepressant to remove or mitigate the underlying causes of depression. To do this, a clinician will ask about previously diagnosed conditions. They are particularly interested in those that may have begun around the same time as depression. Lab tests may be ordered to screen for conditions commonly associated with the symptoms of depression. Once other potential causes have been eliminated, it is necessary to distinguish which specific psychiatric disorder the patient has. Clinicians must differentiate major depressive disorder from related mood disorders and other disorders which often coexist with depression. This is done by following the criteria established in the DSM-5. There are times when a person's symptoms are significant but below the threshold to make another diagnosis. For this, First suggests that the clinician consider a diagnosis of Adjustment Disorder. This is a condition in which the symptoms are maladaptive—not typical— in response to the psychological stressor. If that category is not appropriate, they could then consider placing the diagnosis into either "Other" or "Unspecified" categories. 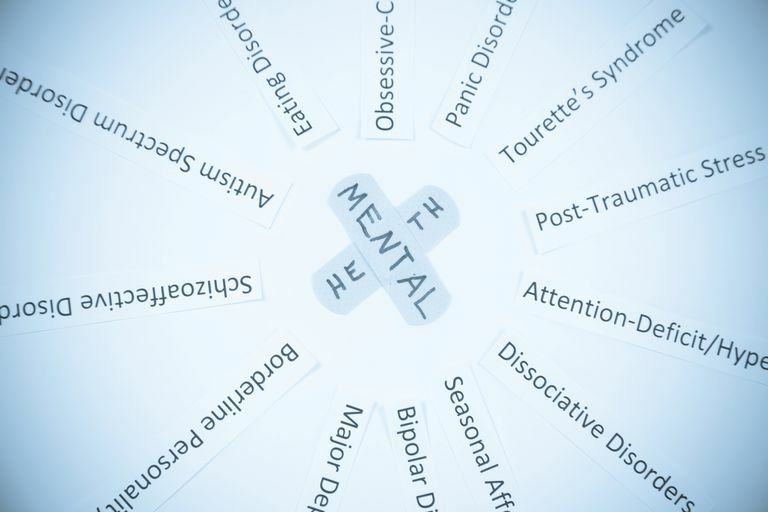 "Other" is used to indicated that a person has a cluster of symptoms which do not presently exist as a discrete diagnostic category outlined in the DSM-5. "Unspecified" is used to indicate that a person's symptoms do not neatly fit into an existing category. However, with more information, a diagnosis may be possible. Finally, the clinician needs to make a judgment call. They need to determine whether the patient is experiencing significant impairment or distress in his everyday life that would qualify as a mental disorder. In addition, he must distinguish major depressive disorder from grief. While grief may cause significant impairment and distress, it may not necessarily qualify as a mental disorder. Bentham, Wayne. Using the DSM-5 in the Differential Diagnosis of Depression. Aims Center University of Washington Psychiatry and Behavioral Sciences. University of Washington. 2013. First MB. DSM-5 Handbook of Differential Diagnosis. 1st ed. Arlington, VA: American Psychiatric Association Publishing; 2013. Tesar, George E. Recognition and Treatment of Depression. Cleveland Clinic Center for Continuing Education. The Cleveland Clinic Foundation. 2010. What Does Depressive Disorder NOS Mean? Do You Have Psychotic Depression?